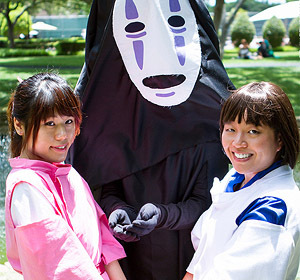 I was at San Japan last weekend! 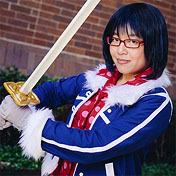 I was doing photoshoots, so I didn’t cosplay this time. 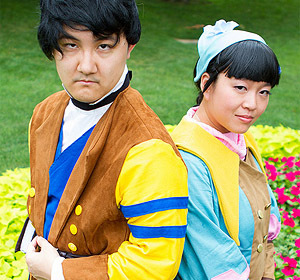 I’m only done editing one shoot so far, but you can see previews from each one in this Flickr set as I finish them. 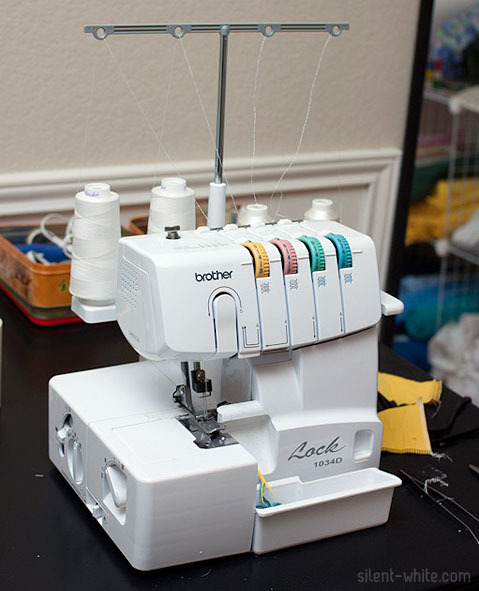 I finally caved and bought a serger. I got the Brother 1034D. It took a bit to get used to at first, but so far, I love it! 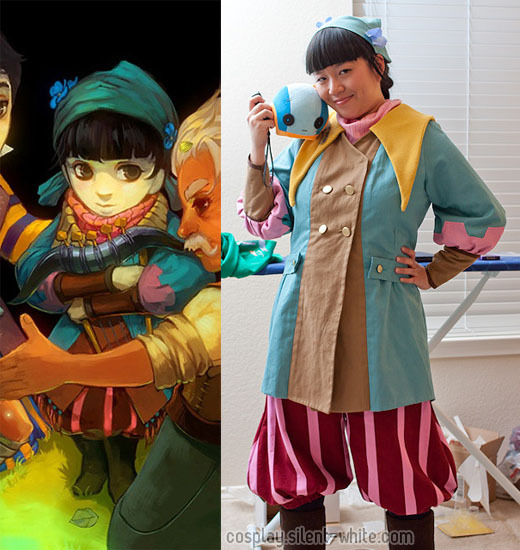 Now for a few entries about Zia’s costume, starting with how I made her jacket! I know a lot of people see the pink part around Zia’s neck as a scarf, but I really think it’s a cowl neck on a shirt she’s wearing underneath. That’s the way I decided to do it. 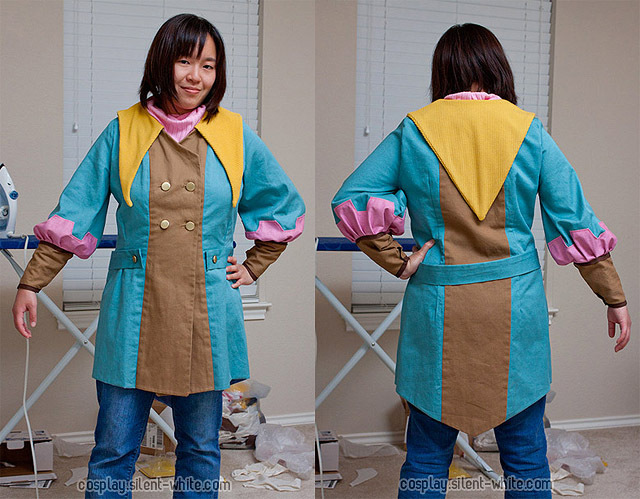 All of the fabric used for Zia’s jacket were actually custom dyed. I couldn’t find the right colors, so I used liquid Rit dye. 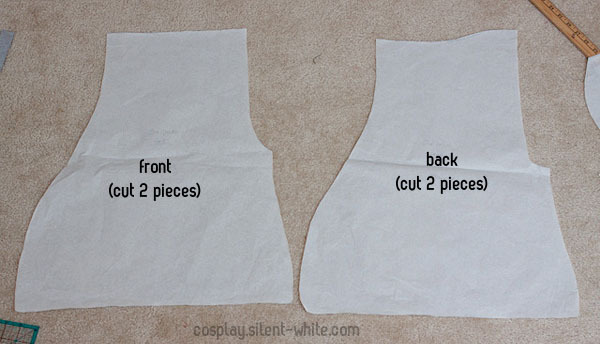 The shirt was just based off of one of my shirts, except I didn’t put in sleeves. I then followed a simple cowl neck tutorial.